Wool provides comfort underfoot whilst insulating your home and helping to reduce energy costs. It absorbs sound to give a sense of calm and tranquillity and is naturally fire resistant too. 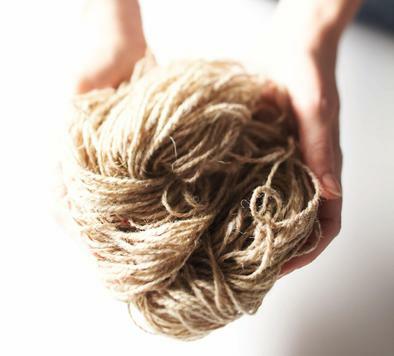 The protective natural waxy coating on wool fibres makes wool products resistant to staining and a wool carpet will also pick up less dust as wool is naturally anti-static. Shearing is essential for the welfare of sheep and wool grown on sheep which graze freely is 100% natural, plus it’s easily recyclable and biodegradable, making wool the ultimate sustainable choice for flooring. We are proud to be British wool’s single biggest user and to be associated with the Campaign for Wool, a global endeavour initiated by His Royal Highness, The Prince of Wales, to raise awareness amongst consumers about the unique, natural and sustainable benefits offered by wool. We also work closely with WoolSafe, who are devoted to promoting best practice in carpet care and supply all Brinton’s owners with a 12month Wool Owners Warranty (WOW), a special after-care service designed to keep your carpet spotless throughout its lifetime. Back in the 1950s, we invented the ‘Brintons Blend’, which combines 80% wool with 20% nylon for the perfect combination of softness and durability. We still use this blend today because it has all the beauty of wool, in an even longer-lasting form. Marrying the finest materials with the latest technology, this blend is transformed into carpets on our specially made looms, finished by hand and inspected twice before leaving our factories.